Congratulations to the CRT Family, We Reached Our Highest Ever! Since 1985, Controlled Release Technologies have been cleaning, resurfacing, and protecting hvac systems. This month, CRT reached its highest ever in the history of the company. We are really excited about that. We would like to thank our supporters, clients, friends, and staff for all you did to aid in accomplishing this goal. 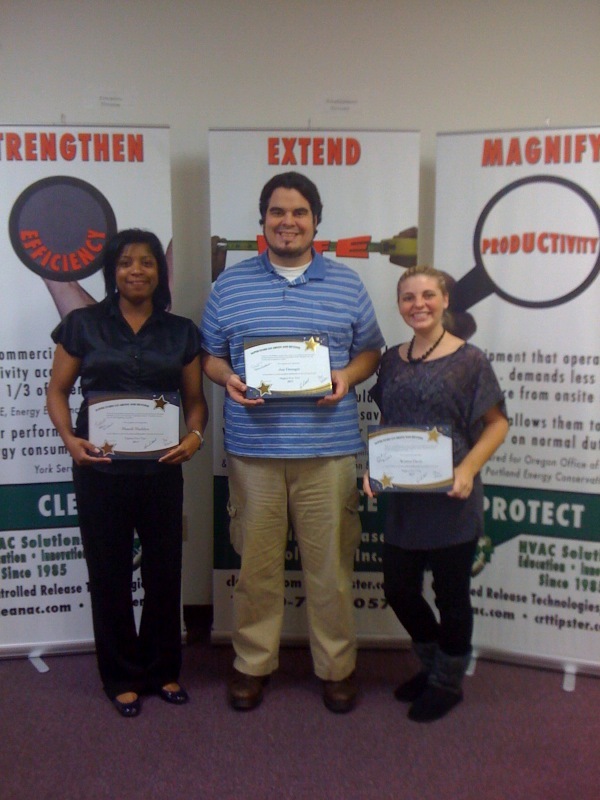 In this photo, are three staff members that were awarded for going over and beyond to ensure that this goal was met. ( Shandi, Jonathan, and Kristen). Again, congratulations CRT Family! Let’s keep up the great work. As usual, we welcome your comments. Tell us about your latest accomplishments, we’d love to hear about them.